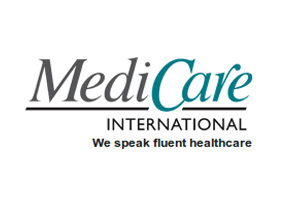 Founded in the 1980's and based out of the U.K, Medicare international strives to give its policy holders peace of mind whilst outside their home country. Medicare International to achieve this goal offers extremely flexible and tailored policies, at very competitive rates, which not only cover in-patient needs but also out-patient needs in order to provide the coverage clients may require. No matter where you may find yourself in this world, as a client of Medicare International you can expect coverage the world over for you and your loved ones. Medicare international is the insurance specialist department of a bigger company, SBJ group limited. SBJ limited is a dedicated insurance broker and financial supplier company also headquartered in the UK . Due to this parentage from SBJ, Medicare International has a corporate background which gives it the experience to confront all sorts of problems that may arise. By being able to offer a dedicated support service available 24 hours a day, Medicare International has the international presence to help you with any healthcare related problems which may arise whilst you are traveling or moving away form your home country and can offer innovative solutions. In addition to this you can feel secure knowing that you will receive your money back through Medicare International claims within a 10 day period. For more information or for a free comprehensive insurance quote, please feel free to contact us today.